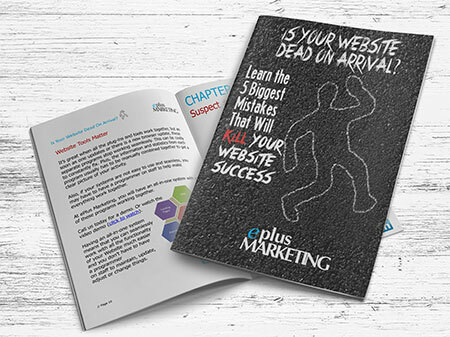 What is Killing Your Website Success? How do you know you're Website is "Dead on Arrival"? The site is live, you send people to it, but nothing happens. Few is any leads, sales or phone calls. •Fails to increase leads and sales. •Fails to have a ROI (return on investment) within a year or less. •Less than 1% of your visitors take action (buy something, complete a form,download a paper, contact you). PLUS, other easy to follow tips for any business owner wanting to improve the return of investment of their digital marketing, especially their website. This is an EASY to read, easy to follow ebook designed for business owners and managers. Work Phone Number * We value your privacy.